EcomCity is a Cybermall showcasng real bargains from the most trusted internet retailers offering our savvy shoppers closeout prices on 5 million products. You've landed at The Ecommerce CyberMall for savvy Web shoppers. Real Merchants -Real Bargains- No Hype -N0 spam. Famous since 1997 as the place to Get The Good Stuff....Cheap! Simple window shopping: Select a merchant and their entire e-catalog opens up on this same page! Use the SEARCH BOX to display comparison shopping items from all the stores or browse and search a specific merchant's ecatalog. Daily deals and coupons can also be displayed for every Merchant listed by selecting the merchant and then hitting their coupons and promotions link. Select the shopping link to return to main display of merchant choices. Refresh showcase display ... Simply Click this link to restart your window shopping session. Welcome to EcomCity's Award winning CyberMall! WebWorld Mall for general consumer merchandise in 75 individual shops (5 million products) and PcSHOPS Mall for discounted computer gear from all the most trusted suppliers. We respect our shoppers wishes to never see a popup Ad here, or receive any e-mail Spam from us, or our carefully chosen merchants. One place you can trust to find ...All the good stuff ...Cheap! Browse our 2 malls or jump to some bargains shown below. Savvy Shopper tip: Always look for links at Merchant's sites to manufacturer related closeouts, clearance items, or refurbished equipment for the absolute best buys! Take a look at our Gorgeous teen model Sammi wearing Holdup solid colors and patterns in Thin 3/4" or 1/2" skinny suspenders.... You can share the photos or download them from the photo link on the left. Sammi is show wearing the B&W checkered flag suspenders is a finish line winner and she looks great hooking up our Holdups to her shorts. Skinny $16.95 1/2" wide colors.. click here.. The Model shown is Sammie under contract with Image Marketing Services and is available for local and national modeling and product promotion assignments.. see www.Hisammie.com for more photos of Sammie and book her for a photo shoot. Call (586) 771-1924 for IMS model bookings and pricing info. Who said suspenders weren't fashionable? Try on a pair of Holdup's and change your outfit's look! Looking for men's Red suspenders as worn by Larry King and other TV celebrities? Holdup Suspender Company presents our patented Double-Up suspenders in red, burgundy, black or white satins, leathers braces and silks. Larry even loves the look of the Holdup Designer patterns like the City Lights model shown here and the jacquards weaves. All Holdups feature our newly designed and patented no- slip clip with a greater slant angle and carry a limited warranty. Anyone seeking suspenders worn by Larry on his new web broadcast shows can't go wrong by selecting a pair of Holdups, which come in over 250 styles and all the colors Larry loves. On your right you'll see our traditional Double-Ups style in a Bordeaux Burgundy satin finished USA made elastic fabric that sells below for $39.95. More photos of Larry wearing Holdups coming soon to this page... BOOK MARK IT. Great with our own Sloops jeans or dress pants, as these are a vast improvement on traditional button-on suspenders. Leave it up to Holdup Suspenders to come up with a better men's suspender as this line will be expanded to have all the most popular patterns and fabrics shown in our finger clip series. The boss says were all supposed to work so I just added some new Holdup products and give everyone a discount on them! Introducing 2" wide Under-Ups in 4 styles including two Extra Long XL models for $3 more. 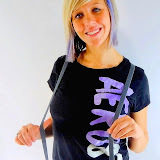 If you wear loose fitting shirts with pants or shorts you'll love the comfort on our undergarment suspenders. We have side clip Hip-Clip styles for men with no-buzz gripper clasps and women have maternity Under-Up suspenders too. *** New in 2014 are these Holdup Shirt stays designed to keep your formal shirt tails taunt and eliminate the shirt billowing at your waist. Click to see details on why our shirt stays (shirt tail Stay-Down straps) are the simple way to keep dress, Tuxedo and uniform shirts tightly in place for $19.95 per 2 piece set... Perfect for Police - Military - Tuxedo - and formal events where a tightly tucked in shirt look is important. Our mission: Offer True value at the end of every click rather then wasting your efforts on general search engines. Computers- all occasion Gifts- Fashions- Toys -Electronics- hobby kits- Sporting goods -Cameras and more .. are found within our themed cybershops. EcomCity has Serviced over 5.2 Million customers since 1997..with 220+ carefully screened merchants displaying the top online bargains. If you wish to save money and time finding "real bargains" from established vendors ... then this is the place to shop. NO popup, no spam and no price gouging. In our long history we have never heard a single consumer complaint about a Ecomcity Cybermall customer not receiving a product or even a quick refund from our carefully selected merchants. ** Watches Under $100 at DiscountWatchStore.com! 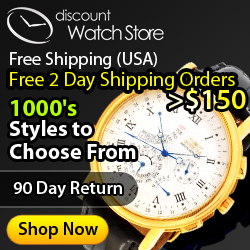 ** Check out the Weekly Deals at DiscountWatchStore.com - Up to 90% off retail price! Closeouts, open box and Refurbished computers, notebooks and peripherals from TigerDirect! Click here for complete TigerDirect Promo Weekly Deals ... Shop here and save since we hand pick only the best online TRUSTED vendors. Try the CSN niche storefronts for a variety of products. All prices are very competitive and they delivery right on time. Donna Karan Cashmere Mist Eau de Parfum Spray for $70. A fragrance to seduce the senses. The sheer floral scent of Cashmere Mist combines essences of Moroccan jasmine, lily of the valley and bergamot with warm undertones of sandalwood, amber and musk.